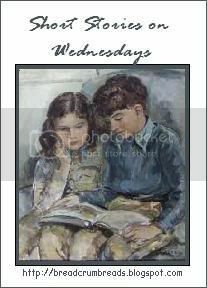 Short Stories on Wednesdays is a weekly event hosted by Risa over at Breadcrumb Reads, where the aim is to read at least one short story a week. This week, I've read a couple of very short stories as part of an introductory creative writing course that I'm taking at the moment. The purpose of one particular section was to illustrate to us that fiction can be any length whatsoever, and a short story can constitute anything from a few sentences up to about 20,000 words. So we were asked to read a couple by Thomas Bernhard, and one of them in particular really stood out to me; Emigrated (you can read it on Google Books). It's quite an interesting short I thought, not only because of the tale itself but because essentially it tells two separate stories in one very brief paragraph. The first part is about an old classmate, then the second part is about the classmate's father. Isn't it intriguing how Bernhard has managed to create so much in such a small space? Plus, the ending packs quite a bit of a punch. I guess it's stuff like this that I enjoy most about short stories – how you can experience quite a bit from just glancing through a window at a particular world.